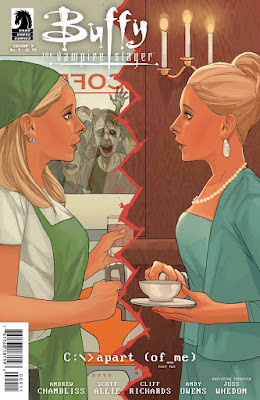 "...after the 'Twilight' crisis, when 'Buffy' destroyed the 'Seed of Wonder', consequently bringing about the end of magic, Buffy is now living in San Francisco and must continue her duties as the 'Slayer'. 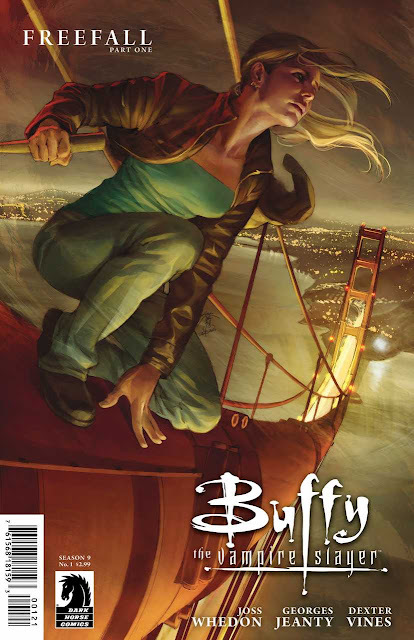 "However, there is a new status quo in Buffy's personal life as well as in her Slayer career. 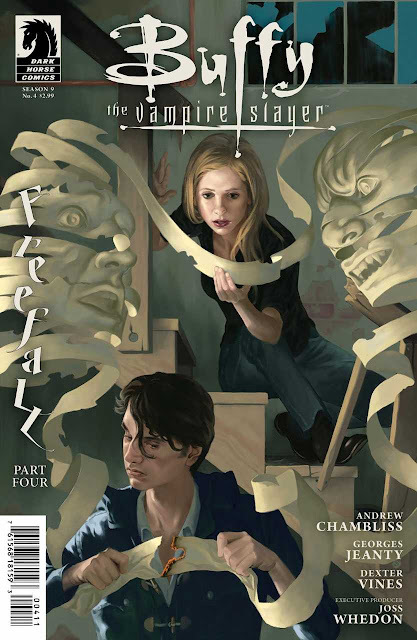 Demons are no longer able to fully possess the dead, creating mindless creatures which 'Xander' coins 'zompires'. 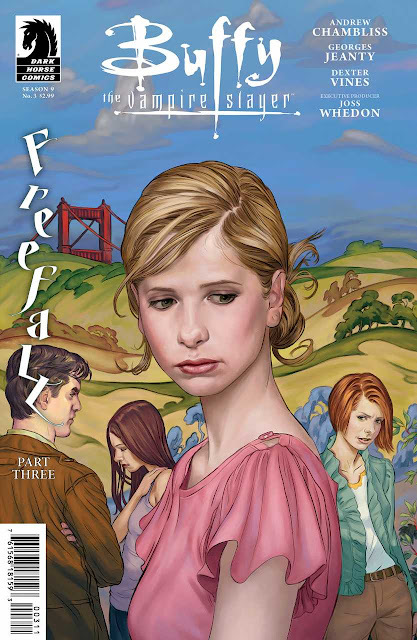 "Xander and Buffy's sister 'Dawn' have settled into a quiet domestic life together and Buffy's best friend 'Willow' no longer possesses magical abilities. "'Andrew' and 'Riley' are still friends of Buffy's, but she sees them less frequently, living with two seemingly normal roommates, 'Tumble' and 'Anaheed. 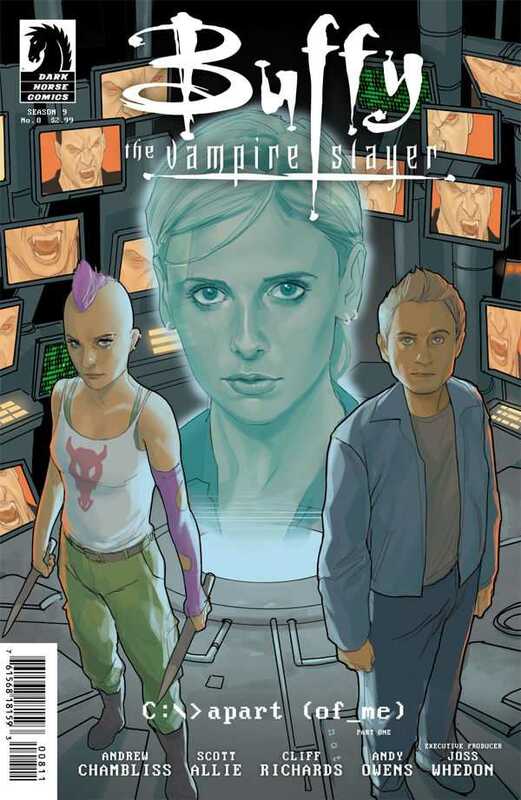 "But the job of patrolling for vampires initially falls to Buffy and her ex-lover 'Spike'..."